Thank you for your interest in our upcoming trip to Turks and Caicos Islands! It’s been several years since our last trip and now it’s time to return! Lying just south east of the Bahama Island chain, Turks and Caicos (TC) offers some of the south Atlantic’s best dive sites! There’s plenty of great shallow reef and incredible wall dives. Some of the most memorable dive sites include the North West point, West Caicos and French Cay to name a few. Abundant coral, reef fish and the occasional curious shark and Baracuda encounters make for a great day of diving! Our hotel accommodations will be at the Ports of Call Resort, just across the road from the dive shop and famous Grace Bay beach! Not only is there a beautiful hotel pool and pool bar area, but we have full access to Grace Bay beach. 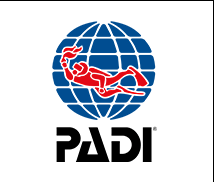 We will be diving with our old friends at Dive Provo, one of the island’s oldest and most trusted dive operations. Just behind the dive shop is a very convenient mini shopping center that houses a large grocery, liquor store, two local restaurants, bars, internet cafe and gift shops! A two minute walk will take you to anything you can possibly need to make your trip easy and more fun! Our package will include hotel, hotel taxes, three days of diving, two boat dives a day, continental breakfast daily and use of tanks, weight belts and weights, paddle boards and free shuttle to the beach. NOT INCLUDED: ROUNDTRIP AIRFARE, tip for the diving crew (about $30), lunch, dinner and personal expenses. In the past, I found that having clients book their own flights makes sense when we head to a location like TC. There are several airlines that service this island and many of my clients want to easily use airline points to book the flights and save some money. I will be listing suggested flights shortly that you can book directly or use my booking agent. More info soon. 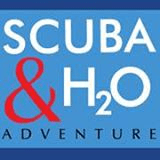 At the moment, the package is pricing out at $1089.00 per diver, double occupancy, single rate is $1649.00 and non diver price is $595.00. Prices are always subject to change. If you are interested in this trip or have any questions, please call or e mail me immediately as we need to plan for group space. A non refundable $500.00 (cash or check) deposit is required to hold your spot. Once deposited you will be liable for the balance of payment unless we can find someone to take your place. Balance of payment is due 60 days prior to departure (March 2, 2019). I highly suggest trip insurance in case you have to cancel as there are no refunds. 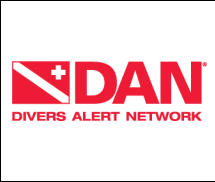 You can find trip insurance info at www.diversalertnetwork.org or www.diveassure.com. Checks payable to Orbit Marine, 3273 Fairfield Ave., Bridgeport,CT. 06605 We can take credit cards but a 3.5% service charge will be applied.